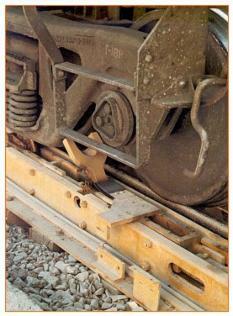 We offer railcar movers to handle from one to over on hundred cars. Options include single direction and reversible capstans, wire rope winches and automated indexers which push on the railcar trucks or axles. Spotting accuracy and speed are key considerations when selecting a puller or indexer. We will walk you through all the steps needed to identify the railcar moving solution that is best suited to your application.